Dubai is one of those cities that it is a fascinating place to visit for three or four nights as part of a planned holiday or a flight layover. Dubai has many sights to see and spectacular world-class hotels, but undoubtedly the most impressive sight of all is the world famous Burj Khalifa! The Burj Khalifa or ‘The Burj’ for short is the tallest structure built by mankind. Before we booked our flights to Dubai for the first time we made sure that we had pre-purchased our Burj Khalifa tickets. Once we had our tickets arranged for the date and time we wanted, the next step was figuring out how to get to the Burj Khalifa from our hotel (the Ibis One Central) in Dubai. Since we purchased our ticket for the first-morning session to go up “The Burj”; it was important to be organized and efficient to reach the tower without missing our scheduled visitation. Dubai is a large city that stretches for many kilometers, therefore selecting a strategic hotel location could save you an hour or two in traffic to and from the Burj Khalifa. First of all, to reach The Burj, you have to fly preferably to Dubai, or as a secondary option to Abu Dhabi. We flew into Dubai International Airport and we booked our tickets using BookingBuddy – an excellent price comparison site. If you have already booked a flight to Abu Dhabi, the bus ride should take you about 2 hours to reach Dubai. You can either take a taxi or Dubai Metro to your hotel in Dubai. In our particular case, we purposely booked a hotel near the metro line (The Ibis One Central) to save us transit costs to and from the airport. 2. Most tourists visiting Dubai don’t go up the Burj Khalifa immediately after they have landed. It’s much more practical to pre-book your Burj Khalifa tickets online first and spend a night at your hotel. Plan to go up “The Burj” the next day to avoid long line-ups and inevitable disappointments of a ‘rushed visitation’. 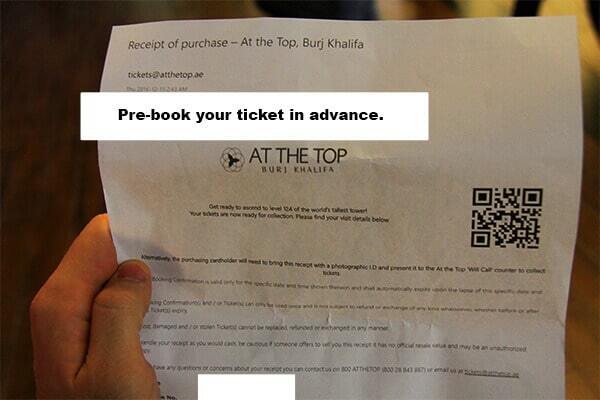 The printed ticket copy to the Burj we downloaded from the website, after booking onlone. 3. Plan to arrive at the Burj Khalifa 30-45 minutes before your scheduled visitation time. Otherwise, expect very long lines. b.) Take Dubai Metro (MRT) to the Burj Khalifa. This decision will come down to a couple of factors. In our case, we stayed at the IBIS One Central Hotel in Dubai. We decided to stay here because we knew that we wanted to take Dubai’s Metro system to The Burj. 4. If you are not staying near the metro and you’re traveling with a few other people, you might find that a taxi is a much more convenient option to get to the Burj. Again, this comes down to the traffic at the time and how much you are willing to spend! 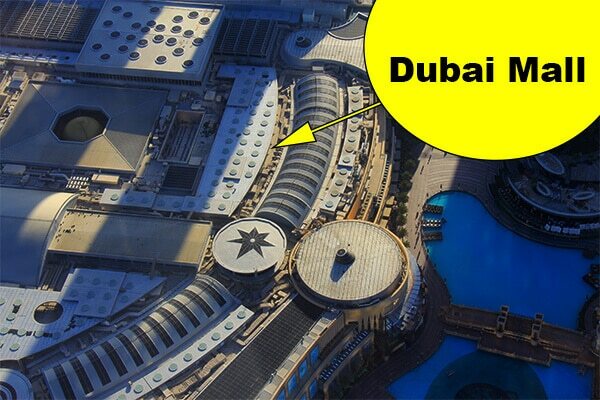 If you decide to take a taxi, then ask to get dropped off at Dubai Mall. When we visited the Burj Khalifa we purchased unlimited full day passes for Dubai’s Metro (MRT) system. This was far cheaper than a taxi, and it eliminated the need for us to worry about traffic because we were staying at a hotel that was walking distance from the nearest station. After our Burj visit; we used the metro card for the rest of the day without paying a penny more. If you use a taxi to visit the Burj you will have to pay for both directions. 5. If you decide to take Dubai Metro to the Burj Khalifa, then it’s a simple process. The metro stop that you need to get to is also called ‘Burj Khalifa’. This is geographically in the middle of Dubai and on the RED LINE of Dubai’s Metro System. 6. 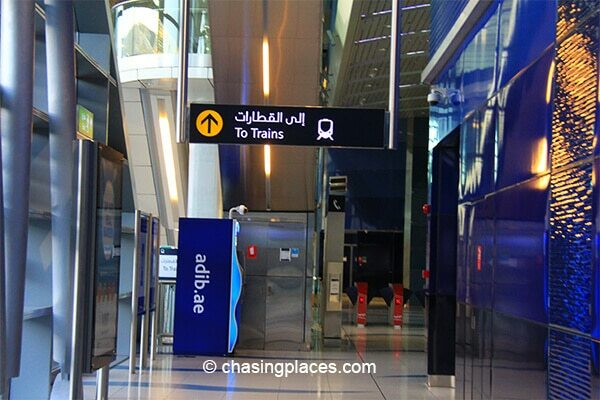 Once you arrive at Burj Khalifa Station you will find clear signage in the station that will direct you towards The Burj. 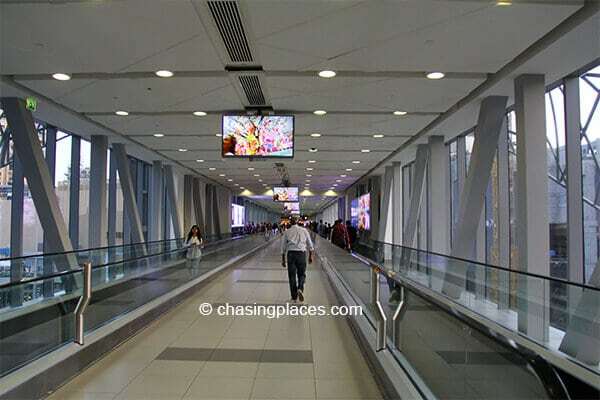 There is an air-conditioned walkway that you will have to take to get from the metro station to the Burj Khalifa. This walk should take about 15 minutes. Please note that it also has ‘walkalators’ for those who are not comfortable walking too far. 7. 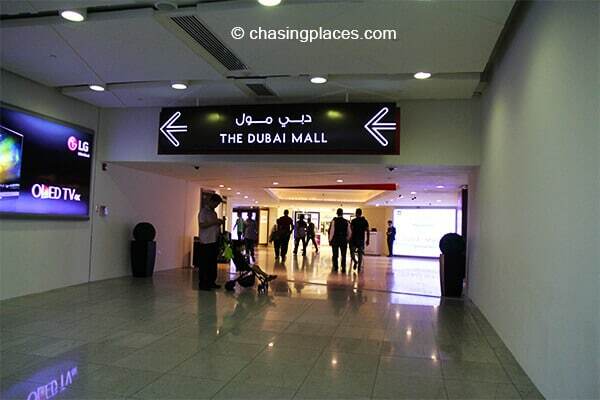 The walkway from the Burj Khalifa metro station will lead you to Dubai Mall. The designers of the Burj Khalifa complex have made it practically impossible for visitors to reach The Burj without having to walk through the largest mall in the world – Dubai Mall. 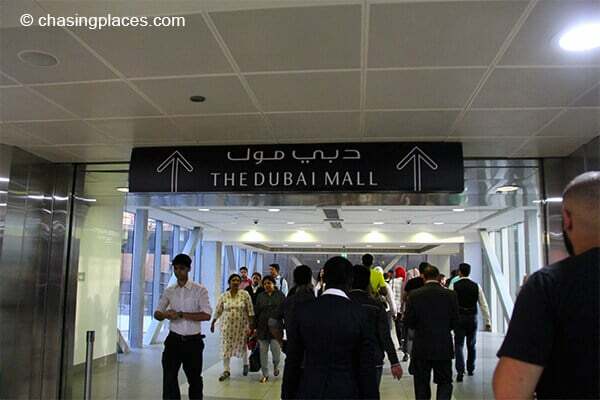 This is the big sign that shows you where the Dubai Mall it while going through the walkway connected to the Dubai Metro. Signs are plenty so it’s hard to lose your way. 8. When we arrived at Dubai Mall at about 7:45 am in the morning, the stores were still closed, but we asked some of the security guards how to get to the Burj Khalifa entrance. After about a ten minute walk through Dubai Mall, we had reached the official entrance to the Burj Khalifa and we went up right at 8:30 am sharp. 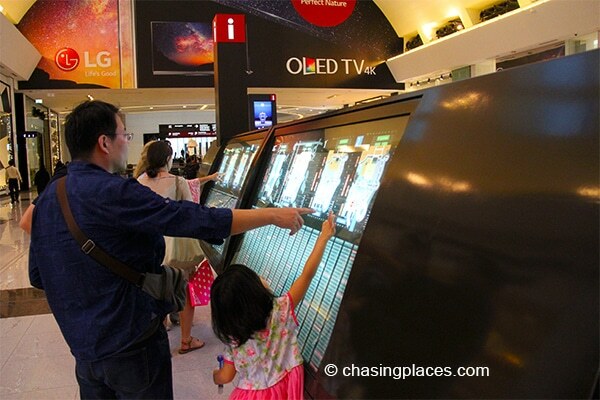 If you find yourself looking for someone to find in the mall for directions, check out one of the directory screens available. 9. Once you have made it to the entrance of the Burj Khalifa, get in line early and get pumped for a great experience! 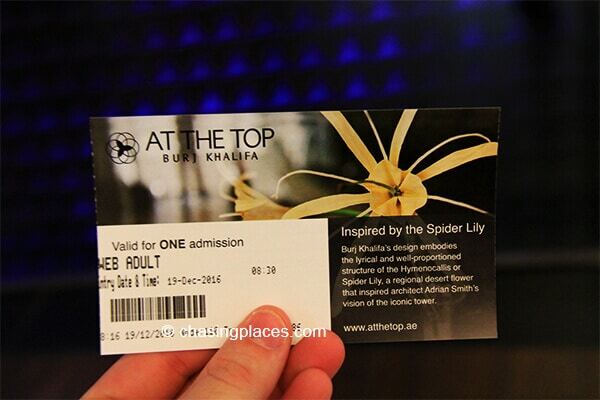 The official entry ticket to the Burj Khalifa’s Viewing Platform. This is a step-by-step guide on how to get to the Burj Khalifa in Dubai based on our recent personal travel experience staying at a hotel near the metro line. If you want to completely eliminate the need to arrange transport then book a room within walking distance if your budget allows for it. Not only will this make it worry free to go up The Burj; you also could have views from your room. Where Did We Stay in Dubai? And why…..?? During this trip to Dubai, we stayed at IBIS One Central. It’s important to note that neither this property nor any property in Dubai has paid us any money to write about them! We decided to stay at this property for two primary reasons: 1) location and 2) price. This hotel is literally 400 meters away from Dubai’s World Trade Center Metro Station. From here, it was only a few metro stops away from the Burj Khalifa. It was also one of the cheapest hotels we could find in all of Dubai. Overall, we thought this property was excellent value for the money. It is super clean, has modern rooms and nice staff. We would definitely stay there again. Don’t stay here though if you are looking for a high-end luxurious stay while in Dubai. If you want a good, affordable hotel. Consider it. We would highly recommend it for travelers who want to save some cash while still being in an excellent location. At the time of writing it had a score of 8.1/10 based on over 250 verified guest reviews. How long did it take us from our hotel to reach the Burj Khalifa? It took us about 30 minutes to reach the Burj Khalifa from our hotel – the IBIS One Central. About 10 minutes on the metro from World Trade Center Station to Burj Khalifa Station and then a 20-minute walk to the Burj Khalifa. What are the best hotels within walking distance of the Burj Khalifa?